Story "Obtained by Frank La Flèche" by James Owen Dorsey (1890: 360). 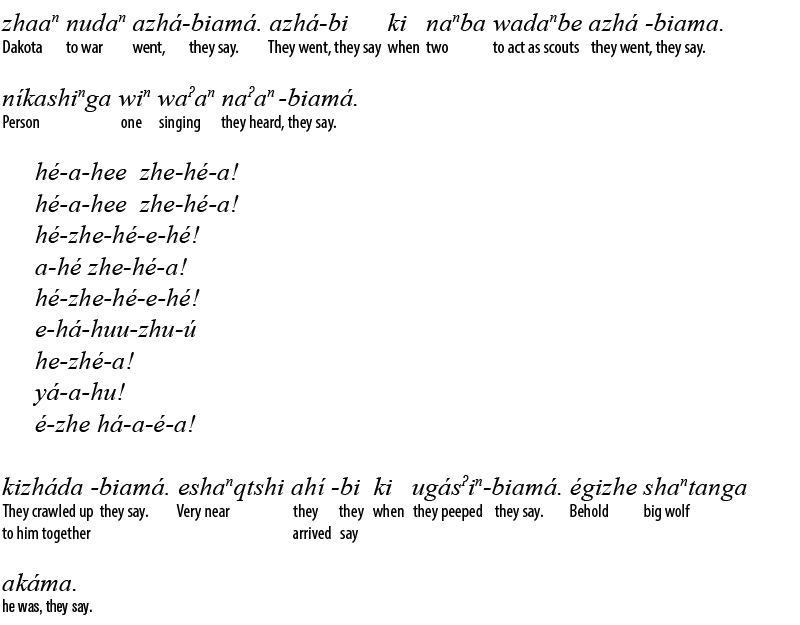 The story is told in Omaha language. The Dakota went on the war path. As they went, two went out as scouts. They heard a person singing. They crawled up on him together. When they arrived very close, they peeped. Behold, he was a big wolf. This entry was posted in Dakotan, Native literature and tagged discourse, Dorsey, magic, music, story. Bookmark the permalink.